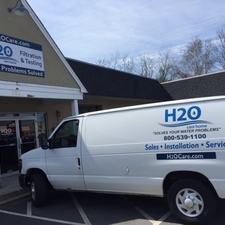 WATER SOFTENER service is typically recommended on an annual basis as it is for most other water filtration equipment which will reduce the chances of a needed water softener repair. These systems work hard as they process thousand of gallons of water monthly, removing unwanted contaminants and minerals from the water. It is possible to have interim operational problems (identified later in this report) which can be diagnosed and remedied by the homeowner. To ensure proper operation and to maximize the useful life of your equipment, proper maintenance will provide consistent softened or conditioned water to your home. There are various brands of water softeners, some more efficient than others in terms of water usage and salt requirements. Some models are capable of softening or conditioning larger volumes of water, therefore estimating water usage prior to selecting a system is important. 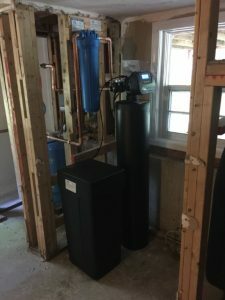 For higher levels of iron and/or manganese, an up-flow water softener (versus down-flow) is highly recommended to avoid damaging mineral build-up at the bottom of the tank. For complicated problems, contacting your water treatment service technician for water softener repair is your best option. 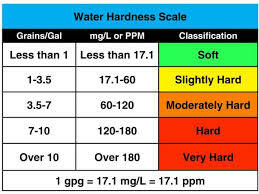 See symptoms of problems with your water softener below.